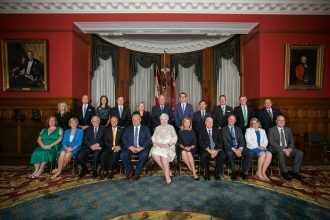 (TORONTO, June 29, 2018) Addictions and Mental Health Ontario (AMHO) welcomes the 26th Premier Doug Ford and looks forward to working with him, his new cabinet and all MPPs to advance addiction and mental health care. “We are encouraged to see many advocates and champions for mental health and addiction in the new cabinet, including Christine Elliott as Minister of Health and Long-Term Care and Lisa MacLeod as Minister of Children, Community and Social Services and Minister Responsible for Women’s Issues,” says Barney Savage, CEO of Addictions and Mental Health Ontario. To read about AMHO’s recommendations to invest Where Change Happens, click here. AMHO represents over 220 addictions and mental health care organizations across Ontario. Our members provide services and supports that help Ontarians across the province, including counselling and case management, peer support and family support, employment services, residential treatment, withdrawal management, supportive housing and hospital based programs. As the collective voice of our members, we provide leadership and engage partners to build a comprehensive and accessible system of addiction and mental health care, and improve the well-being of individuals, families and communities in Ontario. We do this through policy work, advocacy initiatives, service development, knowledge exchange, education offerings and quality improvement work.